A sneak peek at MWC 2018 reveals the most peculiar designs that tech giants are currently concentrating on. 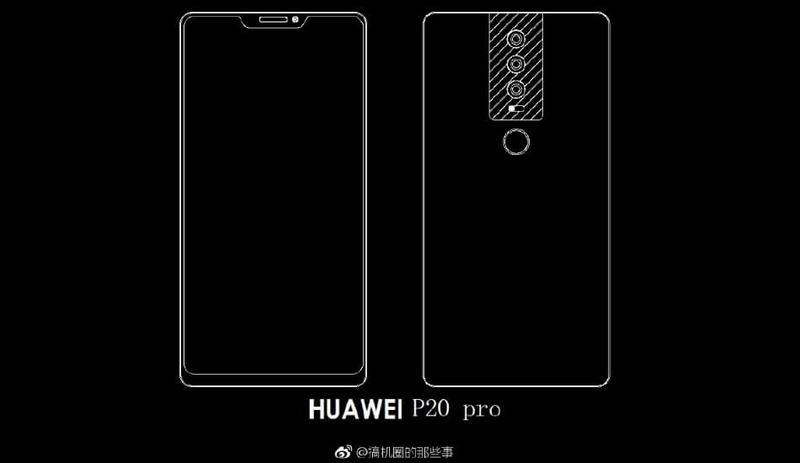 One of such amusing concepts can be noticed in the Huawei's upcoming P20, P20 Plus, and P20 Pro, thanks to the Chinese news website, Weibo. The leak is fresh and is expected to be a publicity stunt, though, officially, Huawei has not confirmed a word. 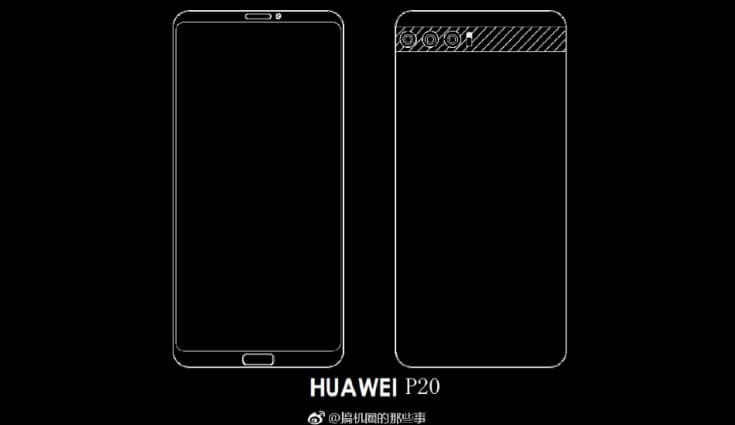 The alleged report shows three different handsets namely P20, P20 Plus, and P20 Pro with their rear and front schematics. Interestingly all of the schematics bear a tri-lens setup. 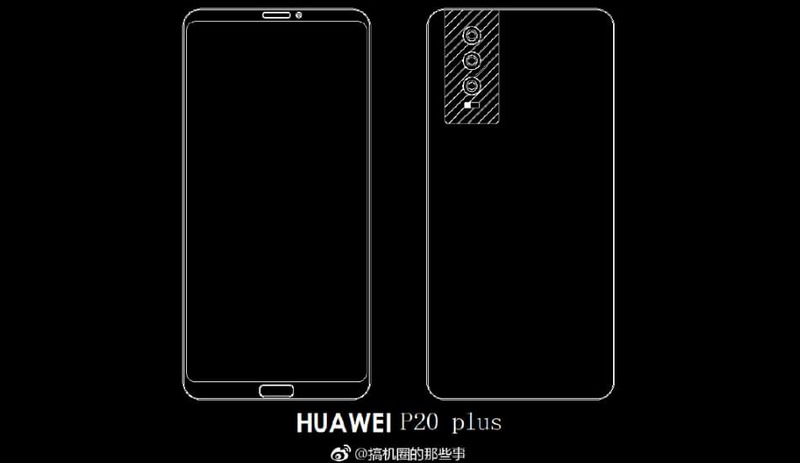 The P20 has the camera module attached horizontally to its rear panel, almost at the top section whereas the P20 plus version has it attached vertically towards the left side of the rear panel. The pro version, however, has it in the top middle section. Also, it got blessed with a rear fingerprint scanner compared to the low range models which have it in their frontal zone. The P20 and P20 plus come with thin bezels whereas the P20 Pro sports an almost bezel-less screen. The figures clearly show a high screen-to-body ratio. Not just this, P20 pro offers an iPhone X like notch which might give a hint towards P20 Pro's significant similarities with the most popular device. Another Huawei P series spin-off, the P11, is ready to show its face in MWC 2018 since this is the latest flagship gadget by the company. Coming back to P20, the phone is supposed to bear a core of Kirin 975 processor, having a 15% increased performance compared to the Kirin 970 version. As for storage, one variant will possess 128 GB storage with 6 GB RAM and the other will get 256 GB storage coupled with 8GB RAM.